One of my favorite blogs is the lovely and always entertaining Camellia’s Cottage – Alabama Lifestyle Blog, in my opinion definitely award-worthy in the world of blogs. To quote Brenda “I love to read, write and tell a good story to make you laugh or to inspire you”…What fun so stop by her place for a visit, link About Us below and look for the fried chicken recipe from February the 3rd, 2018. Last week I was totally inspired by her Mimi’s Fried Chicken and made sure that I had what I needed for Sunday fried chicken at our house, that and two other favorites will be “what’s for dinner?” tonight, Bebe’s green beans and my favorite simple mashed potatoes from Essential NYT cookbook. Not to be believed is that I couldn’t find White Lily self-rising flour in 3 out of 3 stores and I just couldn’t face a trip to Wal-Mart to see if they had it so I made my own. What the heck! In case you need a refresher course in White Lily Flour NYT has an article from 2008 on Biscuit Baker’s Treasured Mill Moves North if you are interested…the NYT link takes up too much space to link to, but just a Google away. 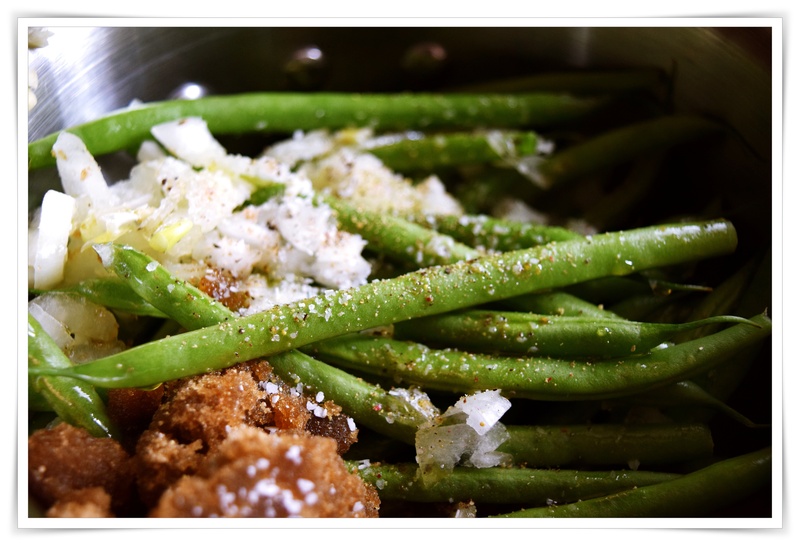 Salt and pepper…bring it all to a boil, turn down to medium cook the beans for about 15 minutes or according to the softness that you prefer remove beans from the pot into serving bowl and drizzle a little pot liquid over, serve hot. Did I mention that Mimi’s chicken was just delicious? 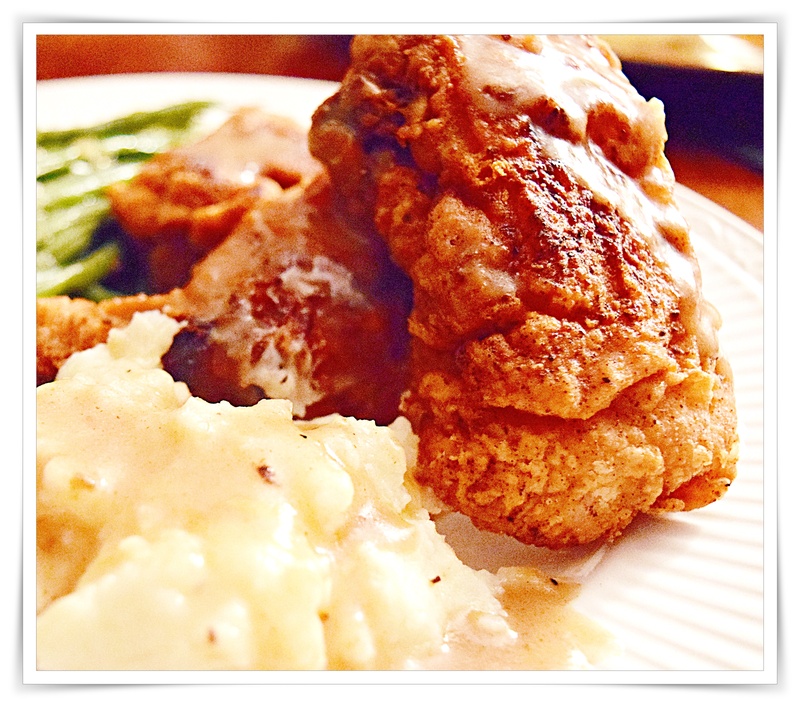 Gone, all of it and just the ticket for winter weary cooking, Sunday, Friday, everyday Mimi’s Fried Chicken!